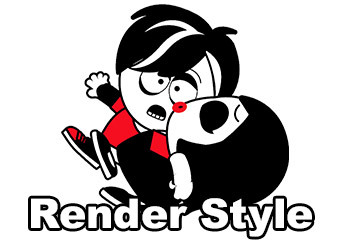 Hold on to your buddy, and start customizing with a whole new style! 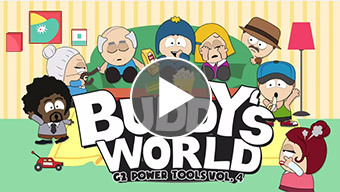 The Buddy Build pack lets you easily assemble your own G2 Buddy character with fully G2 Character functionality. These new G2 Buddies have a reduced number of body parts for a faster, easier build! Their total body parts have been reduced to 8, making it now much more faster to create one, while keeping all the awesome G2 functionality that you have come to love. The hand-accessories in this pack come in multiple angles, making it a lot easier to create advanced animations such as carrying a bag of chips, holding a cane, or even throwing props across the room! Have fun mixing and combining your new Buddy characters with faces from other G2 personalities from the CrazyTalk Animator collection. Combine Buddy bodies with default, embedded CTA2 faces, previous character faces, or other add-on content pack characters! 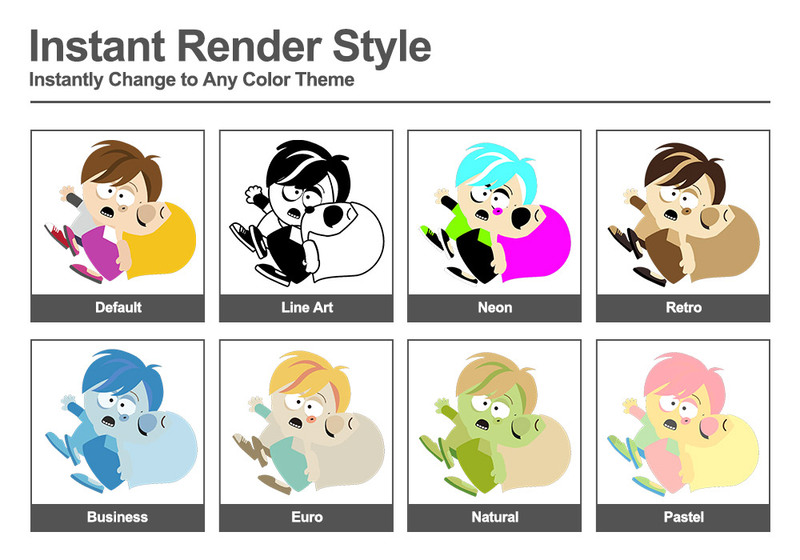 Use the CrazyTalk Animator Render Style option or apply add-on Infographic Palettes, for quick and easy color theme customizing. You can change individual parts or select multiple items to colorize in one go! 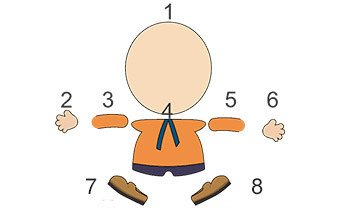 Buddy character body parts have been reduced to a number of 8, making it much faster to create or import one, while keeping full G2 funcionality. The hand accessories in this pack support multiple angles, making it a lot easier to create animations with props in hands. 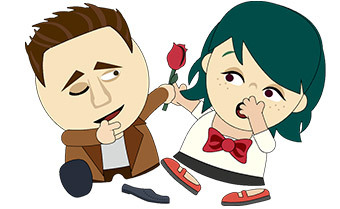 Have fun mixing different faces from other CrazyTalk Animator collections and content packs. Use the embedded CrazyTalk Animator Render Style panel, or other installed Infographic Palettes for lighting fast color customization.